KAMPALA – State Minister for Kampala Benna Namugwanya has revealed that 300 public toilets facilities are to be constructed in Kampala, especially in the low-income areas this financial year. Currently, the city has only 16 public toilets, which has contributed to annual sanitation challenges that culminate in waterborne diseases such as cholera. But Namugwanya said they have already acquired funding for the project. “We have already secured a grant from Bill and Melinda gates worth 4m US dollars for the construction. The Nalukolongo channel is also to be worked upon, the money is available but we have to deal with compensation first,”Ms Namugwanya said on Thursday. Two cases of cholera have been confirmed in Kabowa, Lubaga division and the minister said as a result, selling of the cold edibles has been banned in the affected area until further notice. “Cold eats and drinks have been banned. 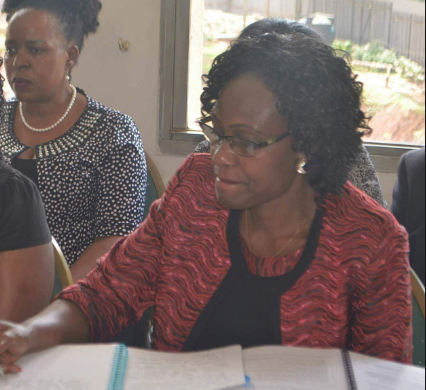 KCCA technical staff and ministry of health are carrying out an assessment of the whole city and very soon we shall communicate more measures of the selling of those foods,” Ms Namugwanya said. The Health Ministry has called upon the citizens to observe proper sanitation but above maintain personal health care. Last year, more than four cholera outbreaks were reported in the districts of Kween, Kampala, Bulambuli, Mbale and Hoima which prompted government in the month of September to launch national cholera vaccination campaign that aimed to vaccinate over one million people in cholera-prone areas. Cholera is an infection caused by the bacteria and affects the intestines.